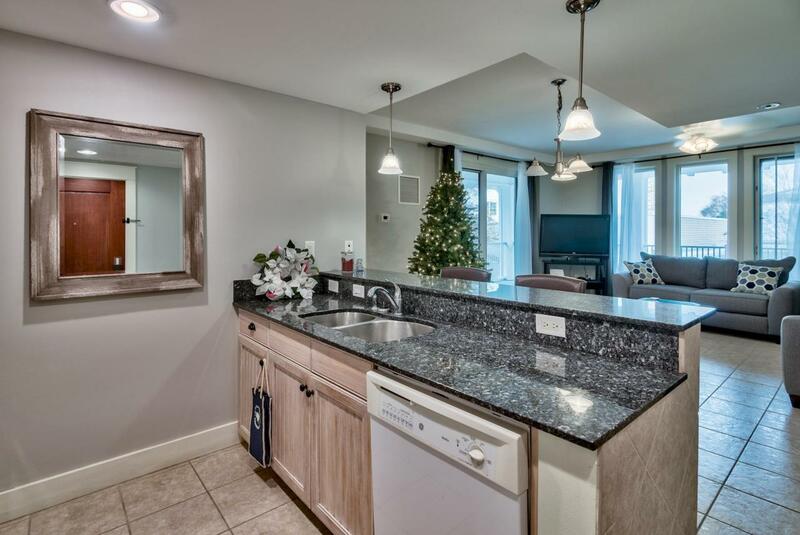 Lovely condo located in Baytown Wharf within the private Sandestin community! This spacious 1bd/1ba unit offers an open floor plan with large windows and a neutral color scheme that flows effortlessly throughout. It is perfectly nestled in the Village Center with shops, restaurants and entertainment just a few steps away! This condo is being sold with it's adjoining studio; giving you the option to expand this unit into a 2bd/2ba property if desired. The main unit is equipped with a full size kitchen with granite countertops, washer and dryer, double sink vanity in the master bath, large tile flooring and an impressive balcony with poolside views overlooking the Garden Terrace. As a resident or vacationer, you will have open access to all of the wonderful amenities The MarketStreet Inn has to offer, such as: an outdoor fireplace, bbq grills, resort-style pool & jacuzzi, and gym facility- all conveniently located at the Garden Terrace level!